It's no secret around here that I love to cloth diaper my girls. I started when Zoelle was 7 months old and I haven't looked back. 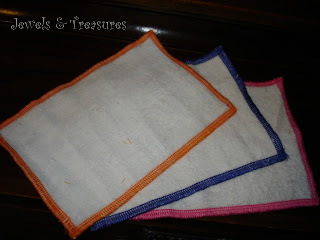 When I first decided to cloth diaper, I decided to start slow and not use cloth wipes. It took me awhile, but I eventually followed using cloth wipes. *Avert the squirt when changing diapers. *Thoroughly dry baby after cleaning up. *Convenient shoulder armor for burping and feeding. *Take them with you for quick clean-ups. *So soft and supple, it's perfect for their little noses. 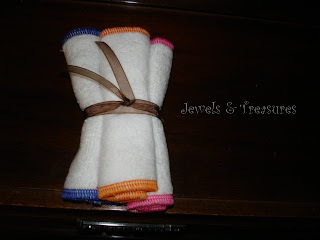 *Great for baths as a baby wash cloth! I love these things, I just wish they were just a bit bigger as I will probably use them as cloth wipes. However, for wiping noses, drying baby off after cleaning up, or any of the other uses, they are perfect! Plus, you just can't complain about the softness of them. Go to the Bummas Website and buy some of your own! You won't regret it! 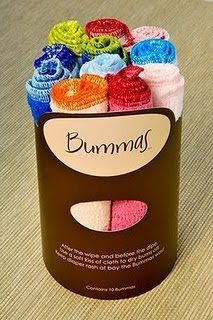 Bummas has generously offered to give one of my readers a set of their own Bummas Cloth Wipes. 1. Since they are offering one of my readers a set, you must follow me publicly on Google Friend Connect. 2. Next, go to the Bummas website and pick out the color set you would love to own! Then come back and leave a comment stating which one that is. 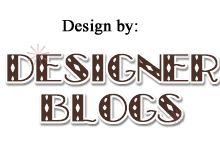 Contest ends Saturday, February 6, 2010 at noon CST! #1-Angie. Yay! Hope you enjoy them as much as I do. The Calm Ones for sure!! We love orange around here! 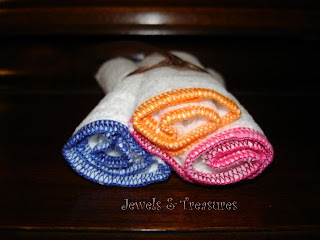 I have wanted to try cloth wipes, but haven't jumped in yet... it would be fun to have these! :o) Thanks Vanessa! I like the boys one! I have yet to get into cloth wipes, but what a cool giveaway, thanks! I would love to win "The Wild Ones" set. I was afraid of cloth wipes at first too. I now don't even think twice about them. I like the wild ones!! So cute. I love the Girl ones. With Three girls in one house that is what you get. These look great! I would love the wild ones! Thanks! I like The Boys! Perfect for my little guy. I've been wanting to try using cloth wipes... we're still using disposables with our cloth diapers. I've heard Bummas are great! Follower, and I love the Calm Ones set! I love the "Wild Ones"
I totally want to try them! The calm ones for us please! I'm in for The Calm ones! Ooh, those sure do look nice! I got a set of Prince Lionheart bamboo wipes for Xmas and while they're really soft the binding frayed before I even used them. I'd LOVE "The Girls" for my two beautiful daughters. I'm in for the calm ones. Enter me! I just signed up to follow you, and I love the wild ones! I'm actually doing a giveaway on my site, too, so I'd set these aside for my next baby shower in a few months! I like the Wild Ones. Super cute! The Wild Ones it is!